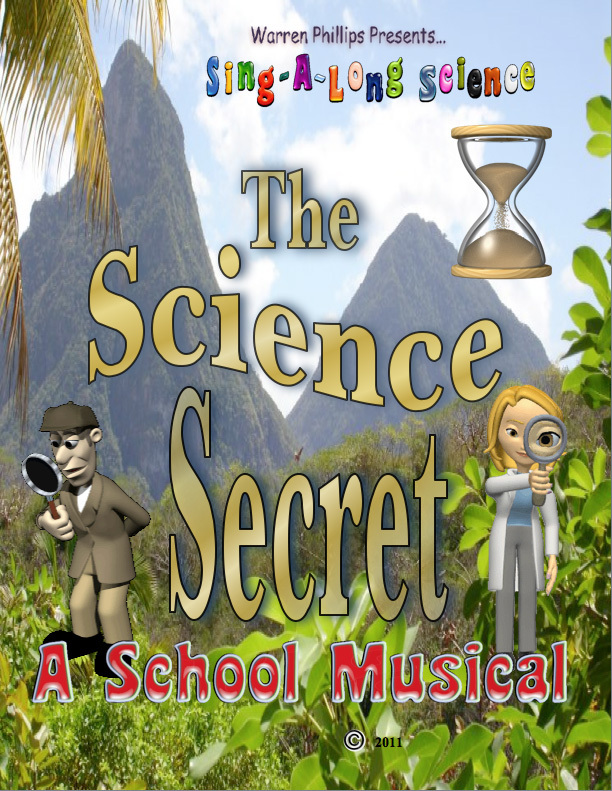 The Science Secret, a musical by Warren Phillips that addresses 93% of the National Science Standards! Ideal for Elementary Graduation Performances! The Science Secret addresses the K-8 National Science Standards! All songs are parodies of well- known songs. He's co-authored a new uplifting book about teaching called Today, I Made A Difference and a brain-based book called Science Worksheets Don't Grow Dendrites. Warren currently travels the country doing workshops for teachers. Please contact www.developingmindsinc.com for more information. Thanks for your continuing support! This musical contains some of the basic concepts that students need to know on the science standards. The play provides a great vehicle for children to sing and learn them. You�ll be amazed at the results! I could not have done this without my family�s great support and encouragement. Karen, my wife, has been an invaluable source of support. I would be lost without her! Thanks to my daughter Kristin for her unending enthusiasm and positive attitude. You�ll hear Kristin�s vocals in many of the songs on the CD's. Jeff, my son, is always helping me with the technology. Thanks to my parents for all those years of keyboard lessons and listening to me practice and to my mother-in-law Mildred for her constant help. I�d also like to thank Sharon Cumiskey for her continuing support. Finally, thanks to my students for proving that learning can be fun! Keep Singin� Science!